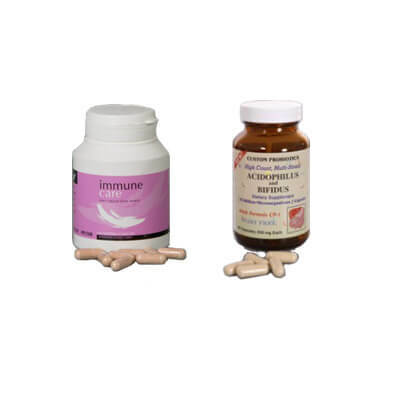 Lactoferrin is a natural defensive protein present in the body. Lactoferrin Xtra (potent apo-lactoferrin) has four times the iron binding capability of standard Lactoferrin. This means that it is four times more effective in fighting pathogens, including both Gram-negative and Gram-positive bacteria. Our Lactoferrin is unaffected by any of the current New Zealand dairy issues. Over 1800 studies in peer-reviewed medical and scientific journals show the effectiveness that oral supplementation with Lactoferrin can have. 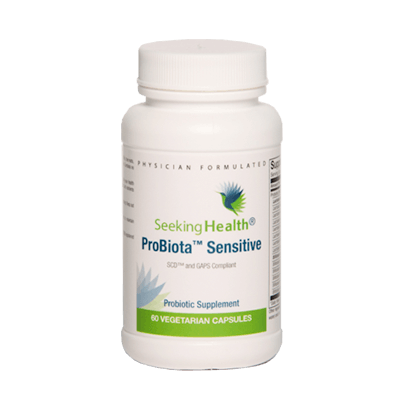 Lactoferrin has US FDA approval as a safe and non-toxic supplement (GRAS). Extensive research on Lactoferrin and Viruses here on the National Institutes of Health website. Lactoferrin is IOC friendly and FDA approved. Read studies on Lactoferrin and a range of yeasts and fungi at the National Library of Medicine here. The strong binding of iron by Lactoferrin prevents free iron from forming free radicals. Free radicals have been strongly implicated as a cause for many diseases and infections. Lactoferrin has been shown to help international athletes recover quickly form mystery blood viruses and Glandular fever. 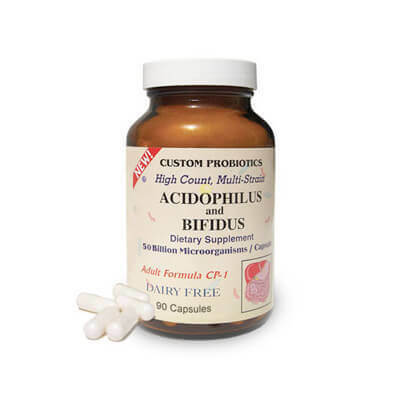 Because it protects the delicate balance of bacteria in the gut, it is ideal to take in place of traditional antibiotics, which destroy this balance and leave you open to recurrent illnesses. 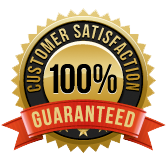 If you have any questions about our products, then please email us at [email protected] or call our Free Helpline 0064 3 3521535. When fighting infection or a specific condition, take a dosage of one capsule per day; for maintenance take one capsule per day. 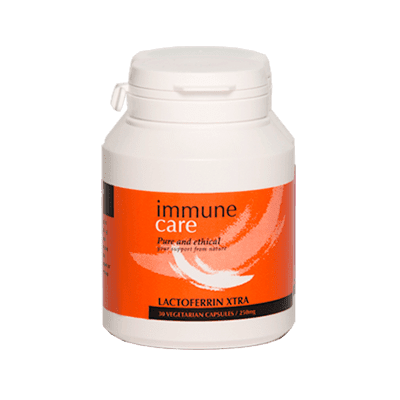 Because Immunecare Lactoferrin Xtra (potent apo-lactoferrin) is three to four times stronger than standard Lactoferrin, only one capsule per day is required. 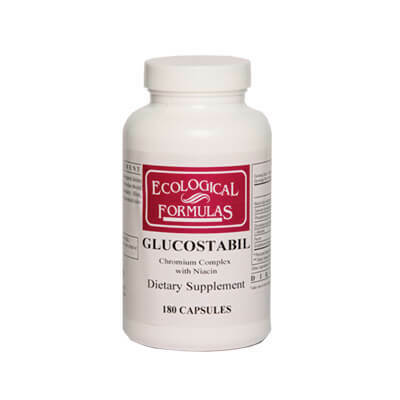 Capsules should be taken on an empty stomach with a large glass of tepid water (approximately 300ml). 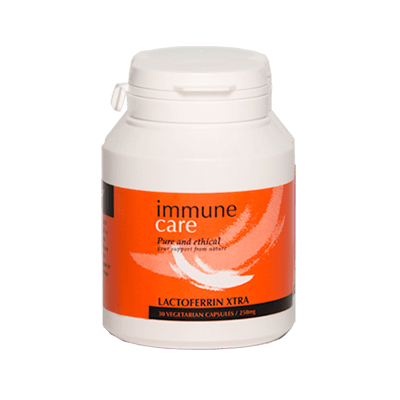 Immunecare Lactoferrin Xtra comes in bottles of 30 vegetarian capsules, each capsule containing only 250mg of pure New Zealand Lactoferrin. Lactoferrin contains no lactose, and so is suitable for those with lactose intolerance. For more information about Lactoferrin please view this PDF research paper. Lactoferrin may not be suitable for severe asthma sufferers. It should not be taken in conjunction with blood thinning medications.